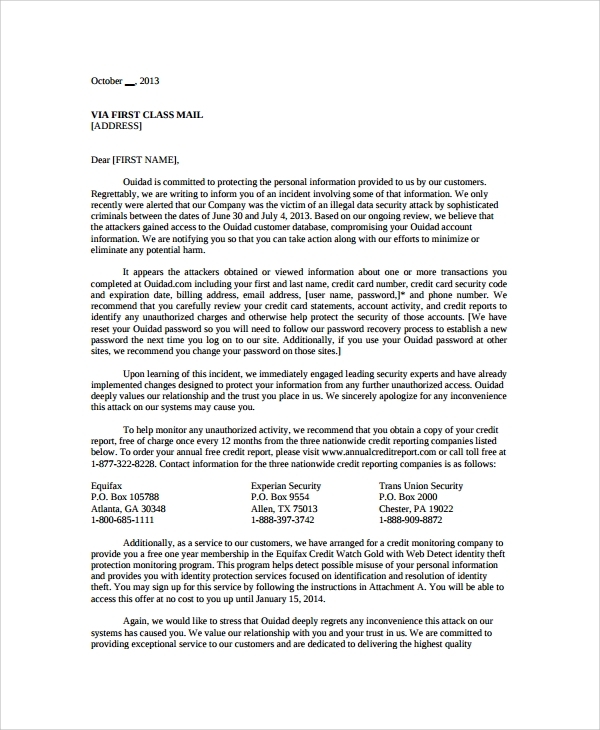 The customer notify letter is to notify customers of a business or company about something. This sample is an official tone format, which tells the customer of some happening which may have small or big importance to them and may hold important connection that establishes their relationship with the business. 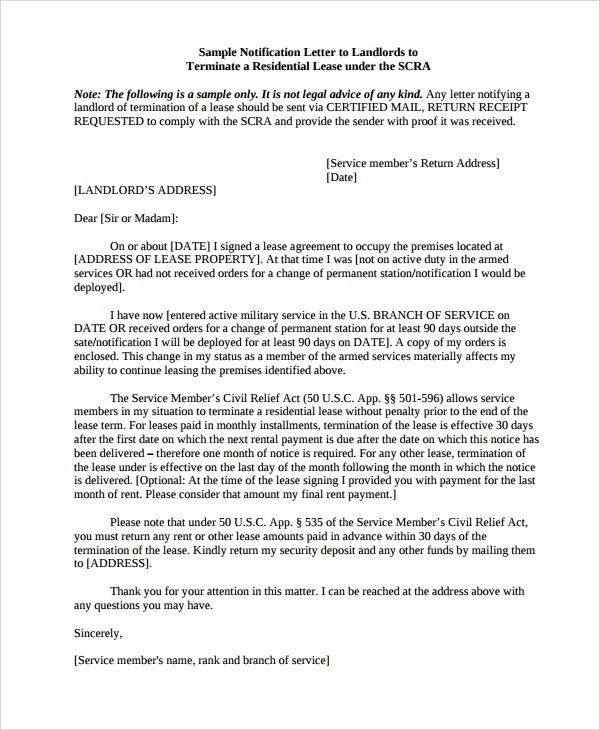 This sample letter can be studied to write your own notify letter which you would like to send to your landlord for notifying the termination of lease or tenancy from your end before stipulated date while specifying some valid reason. 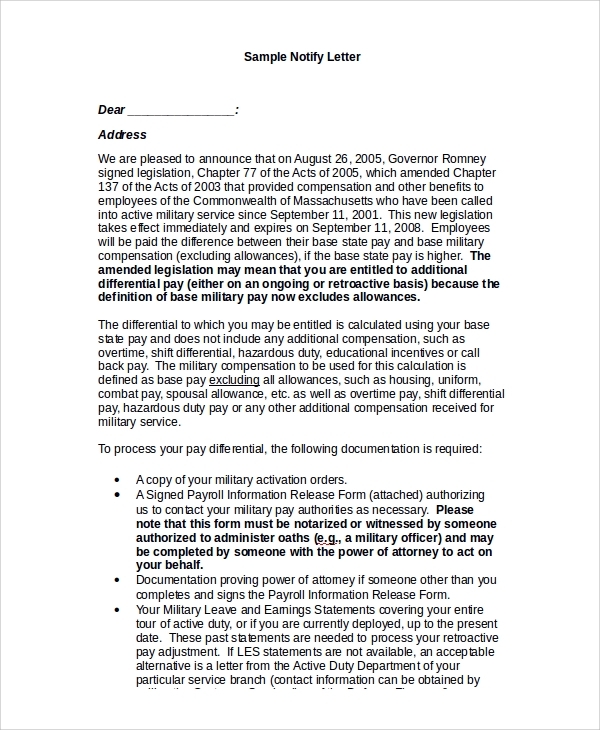 This letter format is specially helpful in stating many other notices too except a termination. When you have to notify a death to some official concern for certain official decisions or suggestions, then you would need this format. 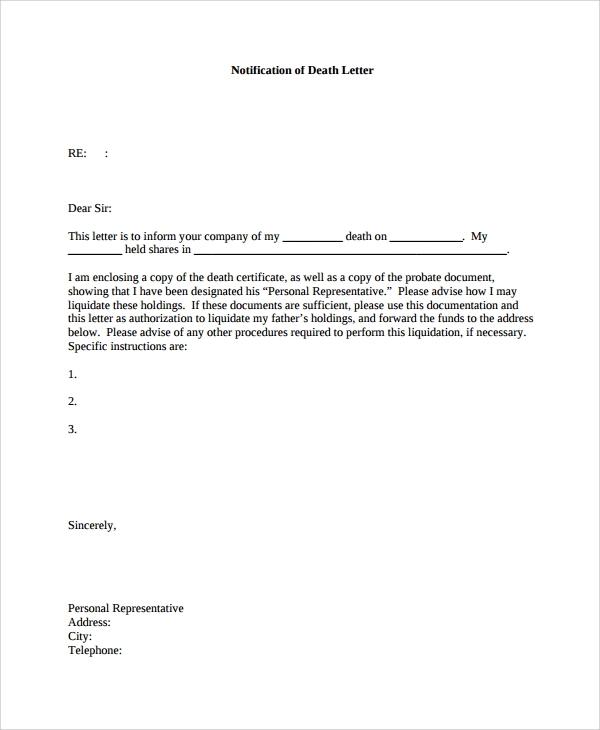 The format can be customized to be used in many official cases mentioning death and requesting for certain related changes in relation of the survivor of the demised with the company etc. 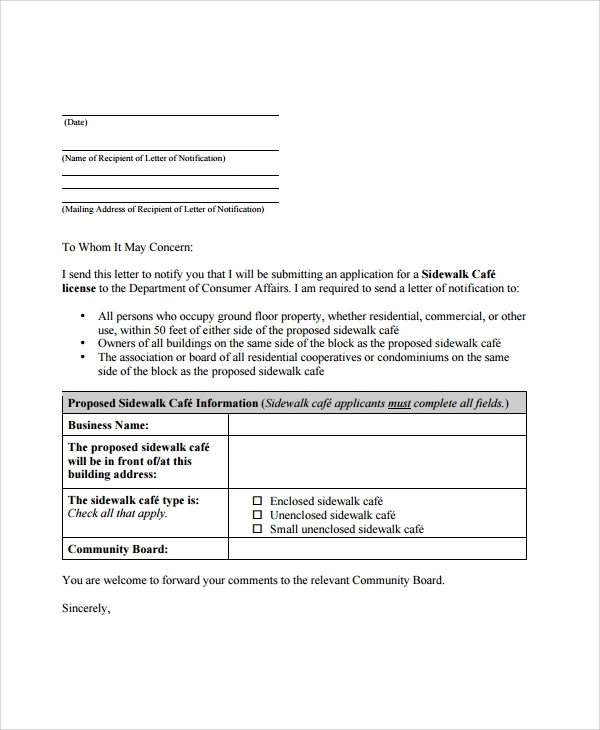 What is a Notify Letter? 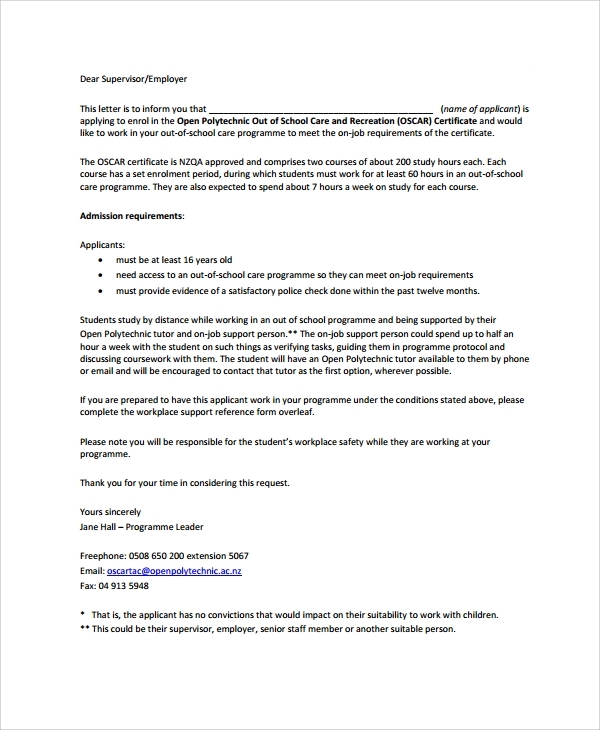 What is the Importance of a Notify Letter Sample? 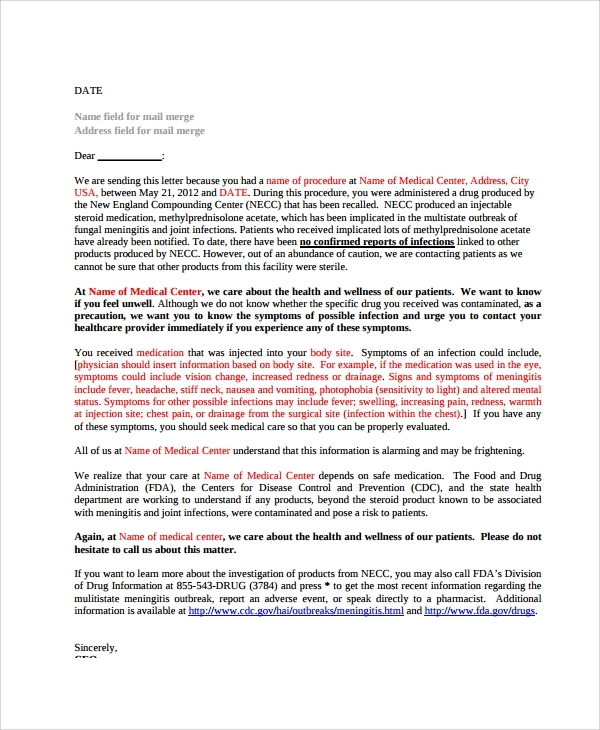 The importance of a notify letter sample is huge. It primarily gives you a ready reference, an example, guided pattern etc to write your own letter. 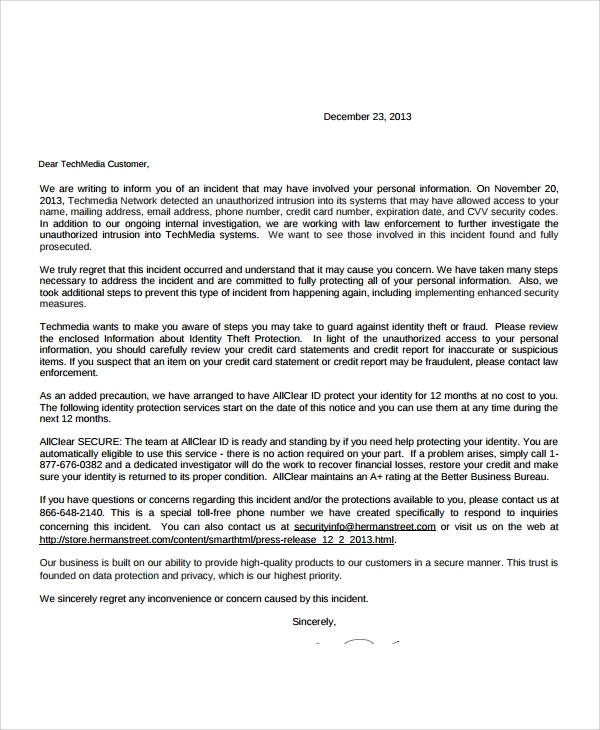 You may use the patterns available online to tell your company, or concern that you have to notify something. The main point of concern is the professional tone in the letter which often is missed or not well acquired by many people. It’s difficult for a layman to get that tone when he doesn’t write much letter daily. That is why the typical style of writing and important notification in the official style while bringing focus on the event is suggested real well through the samples. How to Use the Notify Letter Sample? The notice sample letters actually gives you the much needed direction to write your own letter in times of need. When you need to write a notify letter the biggest challenge you face is the format. Often you are confused of the format, and here the sample gives you the correct, globally acceptable format to write, enclose other papers and details and make it ready.